Hum, I never would have guessed these guys were from Cockeysville, Maryland ... 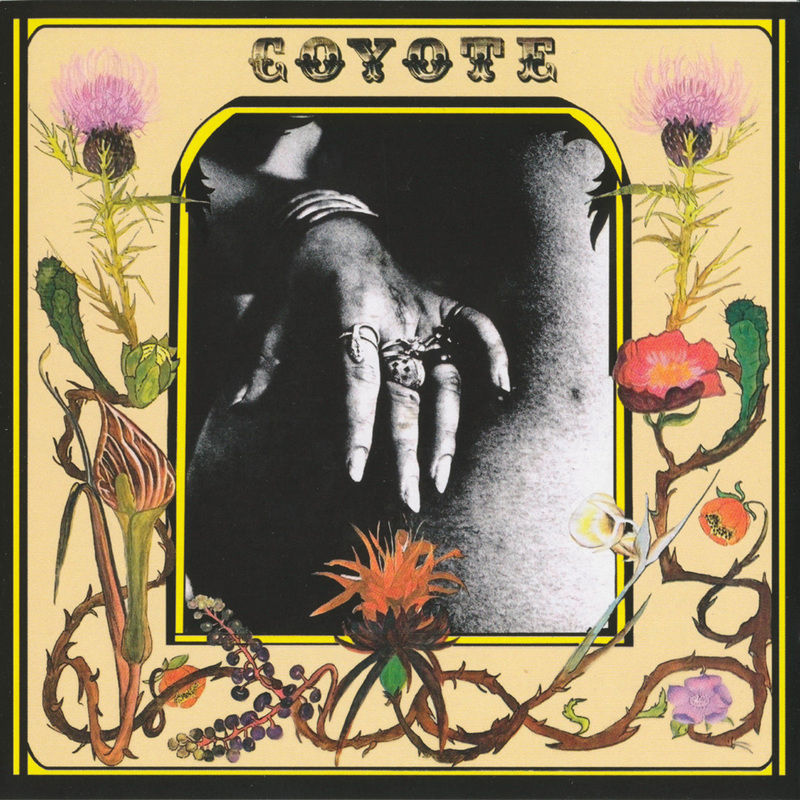 Prior to coming together as Coyote, the various members had played in a host of Baltimore bands. Showcasing the talents of keyboardist Rod Arment , lead guitarist Chuck Beaty, bassist Jim Kestle, drummer Tim Lloyd , and keyboardist Rusty Steele. The group were regulars on the Maryland and Washington, D.C. club circuit, but in spite of their talent and enthusiasm, were unable to attract the attention of a major label. 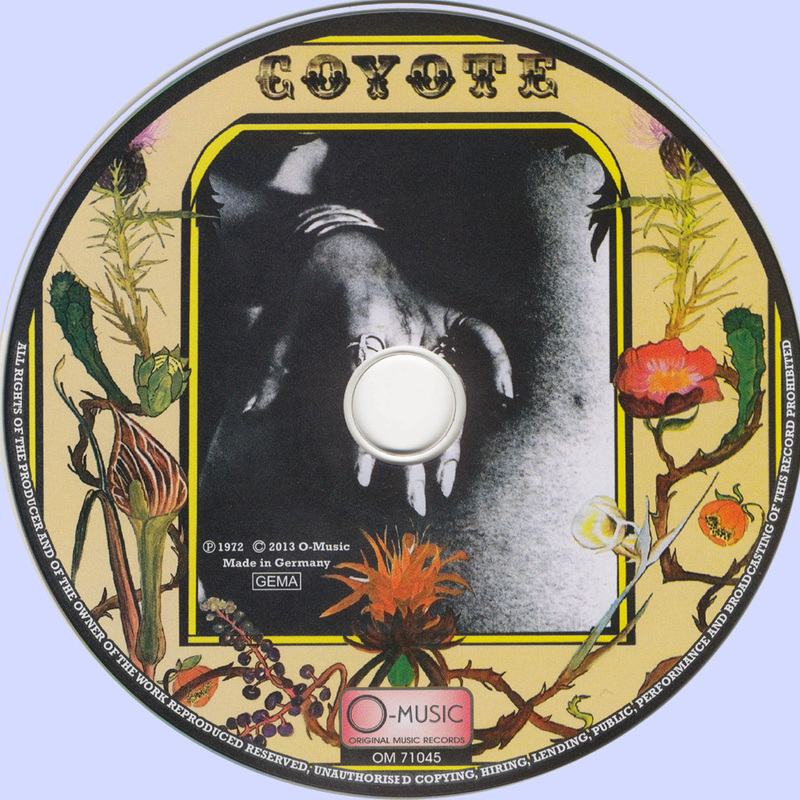 Later in the year the band got around to recording a self-financed LP - 1the cleverly-titled "Coyote". Musically the album's always been somewhat of a curiosity to my ears. There aren't a lot of online reviews, but a couple of them describe the set as a country-rock effort. I'll tell you that's not a particularly accurate description. 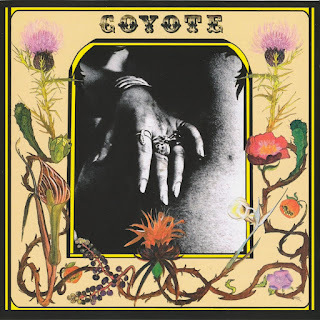 With four of the members contributing to the writing chores, side one was quite eclectic, bouncing around between jazz-rock instrumental ('Cowboy & Indians'), Dead-influenced old-timey Americana ('Horney Coyote'), and conventional rock ('Jabberwocky'). Side one was also notable for displaying some of the era's strangest lyrics ('Farmer Fetcher's'). In contrast, exemplified by material like 'Ready to Ride' and 'Fly' side two reflected a more focused rock and progressive-leaning sound. 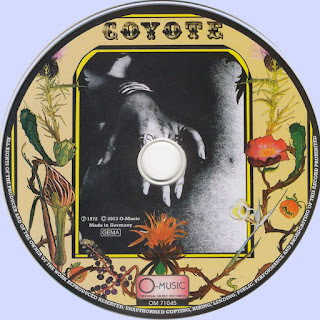 Blessed with four decent singers (drummer Lloyd was the only non-singer in the group), gave the album a nice sense of diversity and technically these guys were all quite impressive with Beaty and Steele deserving special notice. There's no doubt these guys were talented and I'd be willing to bet they were a killer club act. Shortly after the album was released the hand underwent a major personnel shift that saw Beaty and Kestle joined by keyboardist Brian Boyd, lead singer David Gable, and drummer Dennis Meros. The band seemingly continued to perform through 1976 and then called it quits with various members joining a host of local bands.